We’ve seen it before, but this shot still makes us chuckle. 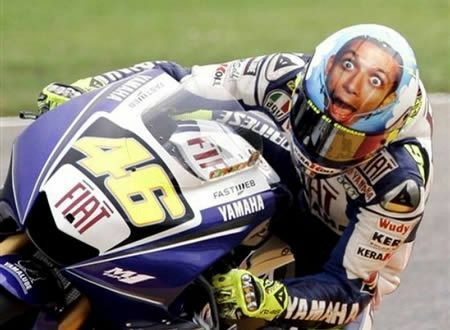 Classic Rossi. The owner of a hardware store is dismayed when a huge new hardware store opens next door, with a sign in the front window saying ‘Best Deals’. He’s even more upset when another hardware store opens up the other side of him with a sign saying ‘Lowest Prices’. After fretting for a while, he sticks a sign up in his front window saying ‘Main Entrance’. Middle age is when the broadness of the mind and narrowness of the waist change places. And a Friday Funny wouldn’t be complete without a hilarious video – click here. Watching drunk people never gets dull.